Located in the heart of the Great Barrier Reef on the Queensland coast, lies 74 island wonders, the Whitsunday Islands Australia. The majority of the Whitsunday Islands are uninhabited national park islands, but four islands offer a variety of resort accommodations, all with the Great Barrier Reef and fringing coral reefs at their doorstep. Whether it be eco-style, family-friendly, all-inclusive, activity-based, food and wine focused or pure luxury, there is a resort experience to please everyone. Let the spectacular landscape and endless horizon dotted with islands wash over you as you experience the ultimate in adventure and relaxation. 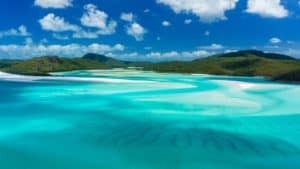 A true paradise, the clear protected waters of the Whitsunday Islands lends itself to some of the best sailing in the southern hemisphere, so why not hire charter a yacht or go boating and be the captain of your own crew. Or hire a jet ski and skim along the water, or take in the panorama of the Whitsundays from the air in a seaplane or helicopter. Or for the ultimate birds-eye-view, take the plunge and go skydiving above one of the most amazing natural landscapes in Australia. There really is something for everyone in the Whitsundays! People travel from all over the world to see the white sands of Whitehaven Beach and the beauty of Heart Reef, as well as stay at some of the world’s best hotels. The Great Barrier Reef protects the islands from large swells, making them ideal for sailing, swimming, snorkeling, and relaxing on secluded beaches and in hidden bays. The Whitsundays enjoy a tropical climate of hot summers, warm winters and bright spring and autumn days. Average daily temperatures are around 73°F in the winter months of June and July, and up to 86°F in December and January during the height of summer. Water temperatures remain a welcoming 77°F most of the year round. The tropical wet season occurs during January to March when days can be steamy and the summer heat is often broken by tropical showers. The months of October through May is known as ‘stinger season.’ During this time, the waters may contain the box jellyfish and the Irukandji, both of which can deliver a painful and/or potentially fatal sting. Though jellyfish fatalities are highly uncommon in the Whitsunday Islands, it is always recommended to take the proper precautions. During the stinger season, swimmers and snorkelers should always wear protective stinger suits, which prevent jellyfish tentacles from accessing the covered skin. You should always pay attention to any posted signs in an area, noting if swimming is prohibited or if there are other warnings.This doesn’t necessarily mean you shouldn’t visit the Whitsundays in stinger season. 8 million tourists visit the islands annually, throughout the entirety of the year. September is the ideal time of year to visit the Whitsundays. It provides sunny days and the least expected rainfall, with temperatures around a maximum of 78°F. Humidity is low this time of year, and the water is generally perfect for swimming and snorkeling. Boating enthusiasts consider September a wonderful time to enjoy a bare boat yacht charter. The tides result in beautiful full moon nights and clear skies, wonderful to enjoy from the deck. In addition to the weather considerations, the beginning of September typically does not coincide with any school holidays, meaning there are less crowds on the Whitsunday Islands. 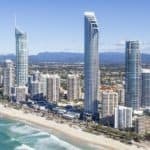 If traveling to the Whitsundays from overseas, fly into Brisbane, Cairns, Sydney or Melbourne, and then book a domestic flight into one of the two airports in the Whitsundays. Brisbane, the capital city of Queensland, offers the best range of connecting flights into the region. The Bruce Highway is the major road linking Queensland’s coastal cities and towns. The Bruce Highway runs through Proserpine and Bowen, with Airlie Beach located approximately 20 minutes drive off the Bruce Highway at Proserpine. Just follow the signs to Airlie Beach and the Whitsunday Islands along Shute Harbour Road. Queensland Rail services include the Spirit of Queensland, linking Proserpine to all the major destinations from Cairns to Brisbane and beyond to Sydney and Melbourne. Taxis and Whitsunday Transit buses meet every arriving train to provide transfers from Proserpine to Airlie Beach, Shute Harbor and the island resorts. Coach transfers between Proserpine and Airlie Beach are included in rail travel passes. Airlie Beach has a bus station one minute from the city center and a stones throw from the main beach. The local bus service, Whitsunday Transit, covers the port at Shute Harbor, the railway in Proserpine and the Proserpine Airport. Timetables are available around the town and at most resorts. The local bus service, Whitsunday Transit, covers the port at Shute Harbor, the railway in Proserpine and the Proserpine Airport. Timetables are available around the town and at most resorts. Local buses meet all flights and trains. Whitsunday Transit is the mainland’s major passenger transport service in the Whitsunday Region, providing over 70 services per day in the Whitsunday area. The local bus timetable operates 7 days a week, and their fleet contains some of the most advanced buses on the market today, 70% of which offer wheelchair accessibility. Whitsunday Transit also operates a transfer service for passengers arriving at and departing from Whitsunday Coast Airport near Proserpine and Proserpine Railway Station. Getting around Mackay, Townsville and of course Airlie Beach is made so much easier when you rent a car. 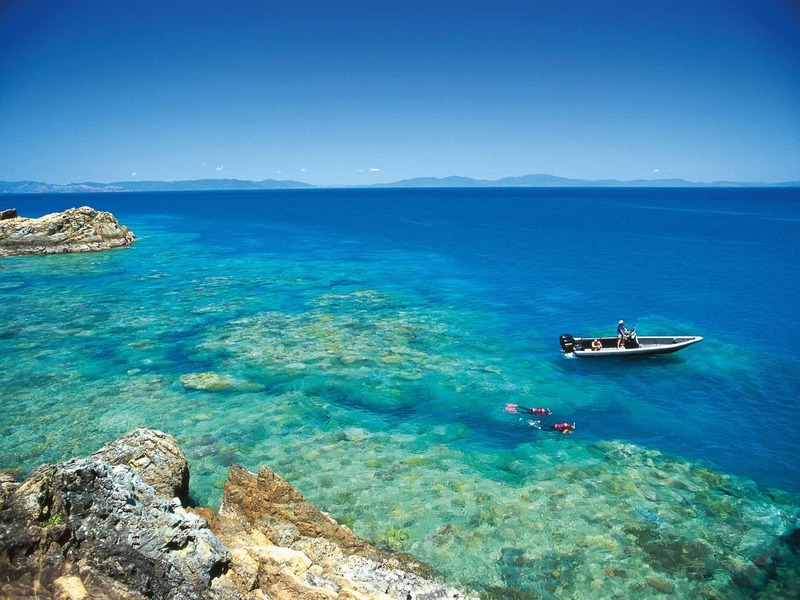 It’s simply a must for exploring these jumping off points to the Whitsundays. Enjoy scenic drives in the country, winding your way through rain forests, traipsing around from one beautiful beach to the next and taking a picnic up to a high point so you can look out over the sparkling azure waters of the Coral Sea. Choosing to rent a car on the Whitsundays mainland gives visitors the greatest amount of freedom as well as the opportunity to explore the region at your own pace. You can call to book a taxi on 131008 if you are in Mackay or Whitsunday. If you are not located in Mackay or Whitsunday but need to book a taxi in Mackay or Whitsunday, please call 07 49 444 955. Or book online here. Explore the Whitsundays at your leisure with a one-day ferry ticket. Hop on and hop off as many times as you like between Airlie Beach, Daydream Island, and Hamilton Island. You will be given a timetable and a map so you can explore the island on your own itinerary. The island hopper pass is a great way to sample the best of the Whitsunday Islands. There are regular daily departures and the friendly crew can help suggest the best things to see and do. 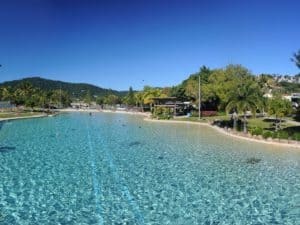 Ideally situated in the centre of Airlie Beach, the Airlie Beach Lagoon is a man-made saltwater swimming lagoon that even includes its own sandy beach. This is where you can enjoy laying on the beach in the tropical Queensland sun, free from the risk of stingers. There’s no admission fee and the lagoon is patrolled so you can enjoy a safe day at the beach. With shallows that get deeper as you swim out, a children’s pool, grassy knolls and landscaped gardens, there’s something for the whole family to enjoy. Hook Island is made up of 58 square kilometres of National Park. The island is fringed with diving reefs and you can walk straight into the ocean and snorkel. However, if you’d like to explore the waters below while remaining dry you can hop on board the Semi-Submersible which seats 52 people. Take a picnic and go for a walk through the forest, kayak around the island, play a game of beach volley ball or do nothing at all and relax. There’s a cafe overlooking the beach-side pool that’s open from breakfast through to dinner. The Barefoot Bar is open to guests as well as visitors, and serves from midday on. You can even camp on the island for a truly wilderness experience, discovering the several Aboriginal cave shelters on the walking tracks, and the historical observatory that takes you nine meters below sea level for a look at the coral and marine life surrounding the island. An absolute ‘must see’ when visiting the Whitsundays and Northern Queensland, visitors can take in a cruise, go snorkeling, scuba diving, coral exploring or take in the views of the Reef from above on a scenic flight – there are plenty of ways to enjoy the Great Barrier Reef. 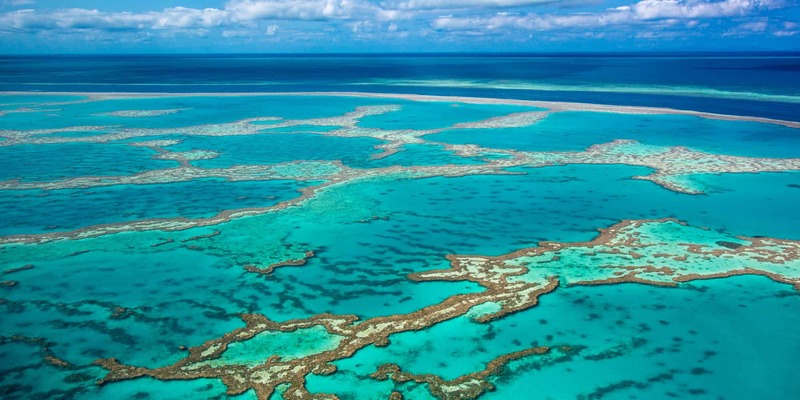 The world’s largest living structure, the World Heritage listed Great Barrier Reef is just a short trip from the Whitsunday Coast and islands. Many people from around the world dream of one day seeing the magical, naturally romantic formation of Heart Reef from the air, and scuba diving at the Great Barrier Reef is the ideal place to do it. There’s a huge range of options when it comes to diving on the reef. Choose from scuba diving trips to snorkeling above or even hopping on board a glass bottomed boat to enjoy the reef in comfort. 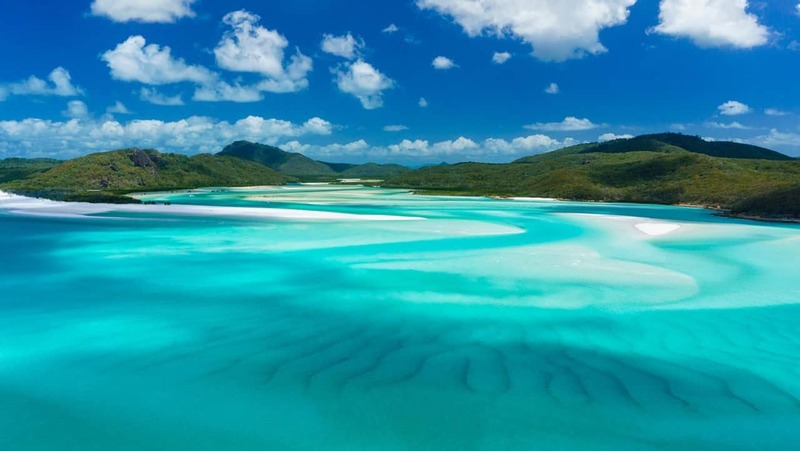 Stretching over seven kilometers, Whitehaven Beach is a living postcard of North Queensland. With its crystal clear waters and perfectly white sand, this island beach provides the perfect escape where you can really relax. One of the most beautiful and photographed beaches in Australia, Whitehaven Beach always has scenic flights and boat trips taking tourist out to see the breathtaking views. Spend your day walking along the shore as the waters change through a stunning fusion of colors, or hike up to the lookout at Tongue Point for a full view of the bay. If you want more than just a day trip there is the option to anchor overnight off the beach or even book a National Park campsite on the southern end of the beach itself. It’s an experience you’re not likely to forget. Abel Point Marina is the largest marina in North Queensland and is a major gateway to the Whitsundays. With the current upgrades taking place, the Marina is offering more and more state of the art facilities and luxury conveniences. If you’re visiting the Whitsundays for a vacation, you’ll find plenty of boat charters, reef cruises, island hoppers, diving trips and even jet ski tours departing every day. And for those visiting in their own boat or yacht, there are plenty of berthing, boat repairs, cleaning, supplies and rigging services on offer. Basically, the Abel Point Marina is where just about any Whitsundays holiday really begins. While you’re on the Marina you should definitely try some of the local seafood in the cafes & restaurants on hand. Whether you’re after a quiet drink, light snack or a gourmet feast, you’ll be able to enjoy serene views of the boats on the water as you dine. Join Ricochet, the most luxurious catamaran sailing the tropical blue waters of the Whitsunday Islands for an experience no other yacht can offer. Departing Hamilton Island your private captain and crew will spoil you with 5 star service, cruising the numerous islands and visiting the best the Whitsundays has to offer-including the pure white sands of Whitehaven Beach,as well as snorkeling the reef. 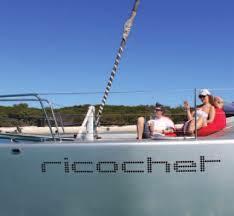 For more information call +61 408 755 668, or visit them on the web at Ricochet Yachting. Witness some of the Whitsundays’ best highlights with a mix of fast-paced travel and overall fun with your choice of Whitsundays ocean rafting adventures! With itineraries available that encompass different aspects of the large and beautiful Whitsunday Island – including its signature Whitehaven Beach – you’ll be able to get to the island far quicker than a regular, slower cruise while feeling the rush of turbo-powered 450 horsepower engines that boost the rafts swiftly through the water. 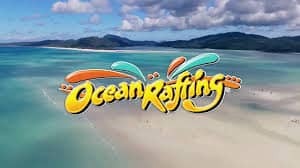 For more information call 07 4946 6848, or visit them on the web at Whitehaven Beach Ocean Rafting Adventures. Sailing Whitsundays is an Airlie Beach based travel agency that offers day and overnight sailing adventures among the beautiful Whitsunday Islands of Northern Queensland. From exploring some of the most colorful reefs in the world, to relaxing on beautiful beaches, they want to help you with every aspect of your holiday! They are great at what we do and will make sure you walk away happy. 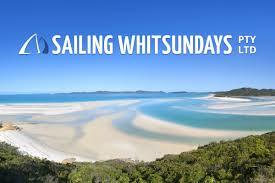 For more information call +61 7 4914 2425, or visit them on the web at Sailing Whitsundays. Explore the awe-inspiring Whitsunday Islands by sea kayak. 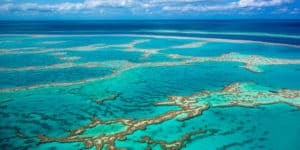 Explore the fringing coral reefs and turquoise waters nestled in the heart of the Great Barrier Reef. Sea kayak the Whitsundays and become part of nature from mangrove fringed coastline to the brilliant white silica sands of Whitehaven Beach. Explore, enjoy, relax, energize. They can customize a trip to suit your needs, help with your planning, and provide you with local advice on weather, snorkeling areas, walking tracks, suggested routes and provisioning. For more information call 07 4946 1388, or visit them on the web at Salty Dog Sea Kayaking. 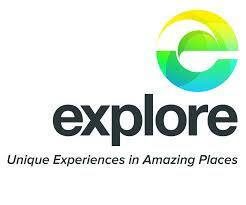 Explore Group offers unique products including sailing, marine wildlife, diving and cruising in amazing places. They offer great experiences and locations on an exclusive basis specializing in tailored charter options for group and private use. Uncover a world under the sea with an experience in one of the top dive locations on the planet. Be enchanted by the colorful marine life in this natural playground. Or get out on the water for a cruise experience in one of their breathtaking locations. Sit back and relax as you take in the fresh air and spectacular scenery. For more information call 07 4946 9664, or visit them on the web at Explore Group. With stunning views over Airlie Beach and a tropical seafood dining theme, Déjà Vu Restaurant is home to some of the best cuisine in the Whitsundays. You’ll find Déjà Vu on the famous hillside accommodation strip, affording outdoor diners a panoramic view of the sea and Whitsundays Islands. The owner / chefs take a personalized approach to service to make sure diners have an unforgettable experience. From poolside lunches to romantic dinners, the menu makes the most of some of the freshest seafood to complement innovative salads, gourmet panninis, and specialty dishes. The restaurant’s long Sunday lunch has become a popular local tradition involving 8 divine courses, wine, beer, live entertainment and spectacular views. For more information call 07 4948 4309, or visit them on the web at Déjà Vu Restaurant. No trip to Airlie Beach is complete without a trip to Fish D’vine and Rum Bar. The award winning seafood restaurant is famous for its relaxed atmosphere and scrumptious food, particularly the local chili mud crab with Hemingway Daiquiri. Both the seafood restaurant side and the rum bar could each stand on their own. But together they infuse to create marvelous creations like the “Retro banana fritters” drizzled in “house spiced Rum syrup” and “Rum and pepper painted fish”. For more information call 07 4948 0088, or visit them on the web at Fish D’vine. For the chili lover, Cactus Jack’s is Airlie Beach’s best source of south-of-the-border Tex-Mex cuisine. The restaurant is immersed in memorabilia and interesting Texas / Mexican artifacts for a truly unique dining experience. Diners have the option of sitting out on the deck for optimal beach front, or inside the colorfully decorated bar & grill. Select from a wide range of full flavored burgers, tortillas and more, all washed down with an even bigger selection of margaritas and cocktails. For more information call 07 4964 1800, or visit them on the web at Cactus Jack’s Bar & Grill. Ideally situated on Hamilton Island, facing straight out onto the marina, Romano’s Restaurant is a perfect part of this island paradise. Come in for the relaxed atmosphere and delicious meals made with love and a flare for fine food. Known for fantastic risottos, Romano’s serves a wonderful array of fresh seafood including Moreton Bay Bugs, scallops, spanner crab and many more tastes of the sea. Polish it all off with authentic gelato, tiramisu or panna cotta. For more information call 07 4948 8212, or visit them on the web at Romano’s Restaurant. Right in the heart of the Whitsundays is the Village Café Restaurant & Bar, home to a unique all day dining experience. The Village offers an excellent selection of freshly prepared food, a variety of drinks and alcoholic beverages. One of the restaurant’s specialties is the Hot Rock dining experience. Volcanic stones are subjected to extreme heat in a special oven for 10 hours before being placed in specially designed stoneware plates and delivered to you with your chosen hot rock meal. The stone locks in the nutrients, natural juices and flavors. You can choose to cook the meal yourself on the stone, or the chefs can do the cooking before presenting your meal on the hot rock. For delectable deserts, the Village also offers a range of boutique ice cream flavors with decadent sides, all served on Icy Rocks. For more information call 07 4946 5745, or visit them on the web at Village Café. A funky poolside rooftop restaurant with stunning views over the Coral Sea and Whitsunday Islands. You’ll find great food, good music, and amazing views. 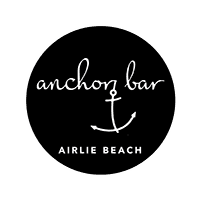 For more information call 07 4946 6678, or visit them on the web at Anchor Bar Airlie Beach. SHUCKZ Oyster and Champagne Bar specializes in oysters shucked to order, fresh appetizers, exquisite champagnes, wines, top shelf spirits and liqueurs. 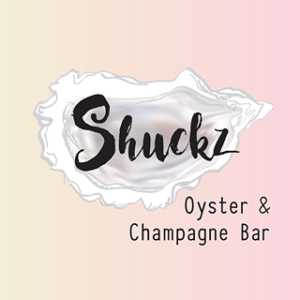 For more information call 07 4948 0599, or visit them on the web at Shuckz Oyster and Champagne Bar. Their warm and friendly atmosphere can be found just a short 5 minute stroll from the south east end of the main street. Outstanding cocktails and a hand picked boutique wine list can all be enjoyed while overlooking the beautiful Port of Airlie Marina. Indoor and outdoor seating is available from which you are invited to explore their unique daily cocktail list and food specials. If the decisions are all too much, then go for their tasting menu or just ask the team to look after you! For more information call 07 4948 2537, or visit them on the web at Walter’s Lounge. The best place to enjoy a cocktail is at Fish D’Vine’s Rum Bar. You can’t miss the Rum wall as you order your Hemingway Daiquiri, Mojito, or any other cocktail which may tickle your taste buds. Not to mention the friendly staff who are pros at putting together the tasty treats. For more information call 07 4948 0088, or visit them on the web at Fish D’vine Rum Bar. If you’re looking for a spot to enjoy a cocktail while taking in the stunning Whitsunday views, Sorrento is the place to be. Located at Abell Point Marina, Sorrento offers a range of tasty cocktails as well as a full lunch and dinner menu seven days a week. For more information call 07 4946 7454, or visit them on the web at Sorrento Restaurant & Bar. An adults-only oasis, this tranquil, boutique resort sits right on Catseye Beach, overlooking the Coral Sea. With its spectacular beachfront location, private restaurant and lounge, child-free ambiance and personalized service, the Beach Club Hamilton Island is the ultimate couples’ getaway. Beach Club offers the private Beach Club restaurant and lounge – for secluded beach side dining. You’ll also enjoy a complimentary à la carte breakfast every morning. Take a dip in the infinity-edge pool (heated in winter) and enjoy direct access to Catseye Beach. When you’re finished lounging, you can make the most of complimentary access to all sports equipment, including catamarans, paddle boards, windsurfers and snorkeling equipment, and use of the island’s gym, spa, sauna and tennis court hire. For more information, pricing, or to reserve your room, visit the Beach Club. Palm Bay Resort is a beautiful boutique resort nestled in the neck of Long Island, one of the iconic islands of the Great Barrier Reef. With our very own secluded private cove, Palm Bay offers spacious Balinese inspired villas with extensive views to the Whitsunday passage and Coral Sea. Offering complete tranquility and seclusion, Palm Bay has been designed to intricately blend into its natural surroundings and is simply a stones throw from some of Australia’s most iconic reefs and beaches. Guests of Palm Bay Resort can access all of our resort facilities including our newly renovated fully equipped guest kitchen and Palm Bay Bar. Other facilities include the poolside dining area as well as their Palm Blue Day Spa, beach pavilion and lounge space, media room, tennis court, nature walks and kayaks. For more information, pricing, or to reserve your room, visit the Palm Bay Resort. 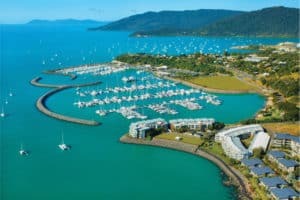 Ideally located adjacent to Catseye Beach on the resort side of Hamilton Island, Whitsunday Apartments offer spacious, well-appointed, one-bedroom apartments. Apartments span over 84 square meters with a separate bedroom, dual access bathroom, fully-equipped kitchen, spacious living area and balcony. Each apartment sleeps up to 5 people, with a king bed and single divan in the bedroom and two single divans in the lounge area. For more information, pricing, or to reserve your room, visit Whitsunday Apartments. Set in lush, tropical gardens, and with fresh, contemporary style, these bungalows are the perfect place to relax, unwind, and explore everything that Hamilton Island has to offer. Thanks to the lush, tropical setting, you’ll feel you’re a million miles away – despite being just a short walk to the beach and resort pools. Each bungalow has every convenience you need to enjoy island life your own way, including a kitchenette, bar fridge, microwave and tea and coffee making facilities. Relax on your private balcony and while away the hours in the tranquil gardens. For more information, pricing, or to reserve your room, visit Palm Bungalows. With large, comfortable, modern rooms, the Reef View Hotel offers a perfect getaway for couples, families or groups of friends. Spacious, comfortable and with most rooms boasting incredible sea views, the Reef View Hotel offers stylish and family-friendly Hamilton Island accommodation. The Reef View Hotel boasts several room types depending on your budget. The Reef View Hotel is located directly opposite Catseye Beach and is close to many of the island’s restaurants, activities and entertainment. For more information, pricing, or to reserve your room, visit Reef View Hotel. An absolute paradise that I have added to my bucket list! I didn’t realize that the Great Barrier Reef is here, and that looks absolutely amazing to see. I’m not a diver so the glass bottom boat is my go-to…! 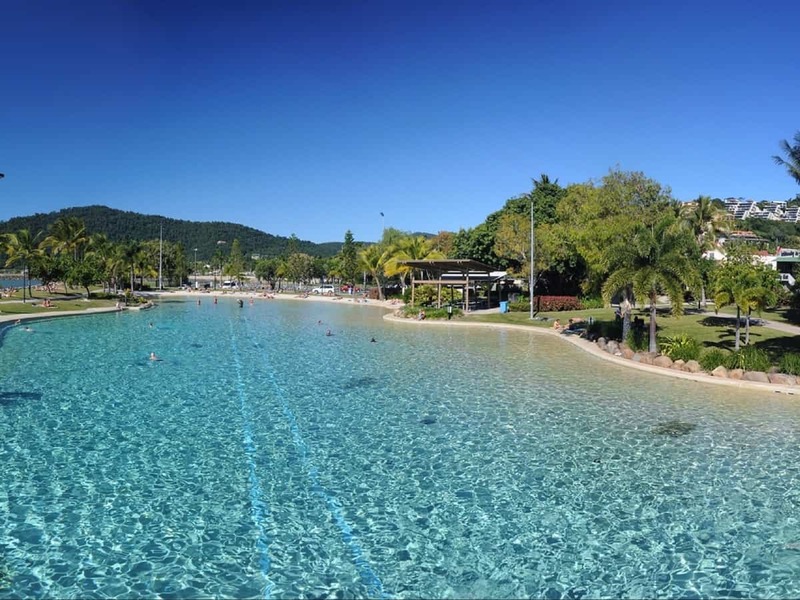 I love the idea of going to the Airlie Beach Lagoon – it sounds like a lovely place to enjoy and relax. Never heard of the Whitsunday Islands before, and thanks for this info! Thinking of changing my vacation plans now! I am glad I could show you a wonderful part of Australia that probably, quite a few have not heard of. If you are interested in the Great Barrier Reef, then Whitsunday Islands, Australia is where you want to go. Please let me know if you have any questions. Whitsunday Islands in Australia looks like a great beach destination. Close to the Great Barrier Reef which everyone should see at least once. Whitehaven Beach is beautiful, great video. Lots to see and do around the island. Yes, you are right Mick. It is one of those places everyone needs to visit. And then two must sees: the Great Barrier Reef and Whitehaven Beach. Wonderful beach destination. Thanks for visiting Beach Travel Destinations. Thank you very much for this guide! I am now very interested in visiting the Whitsunday Islands this coming summer for my vacation. It looks so beautiful with so much to offer. On the restaurants you have listed, which do you recommend the most? Hi Yuji! When you head there for your vacation, make sure you go to Fish D’vine. That is my #1 choice. I am hoping that you like seafood? If so, this is the place you must make time for 🙂 Thanks for visiting the Whitsunday Islands Australia. One of the best reviews I have since on travel destinations! Congratulations. What a great resource for the traveller to Whitsunday Islands. No need to go anywhere else for the information. Ha ha. Great. I love the way you laid everything out. Very clear to see what you are getting or where you might go. Abel Point Marina looks really nice and interesting layout there!!! wow. The ocean looks beautiful. Also lots of convenient ways of getting around as well. You covered everything for the entire family, with good detail, that’s the strength of this post. Thanks again!! I am glad you enjoyed reading about the Whitsunday Islands Australia Dwyan! It is a wonderful beach destination for the whole family to enjoy for sure. Very nice post Leahrae; we are working on getting there. I’ll keep this destination in mind for sure. Thanks. Great Evan, please let me know if I can answer any questions for you. Hi there. I can’t believe there’s a resort for type person’s interest. I’m a foodie. So if I went, I would go on the food and wine-based focused resort. I don’t like traveling, because I don’t like flying, but I love going to places and visiting their restaurants and bars. 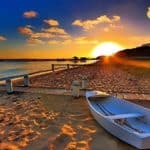 If I do decide to go, I’d go with Whitsunday Apartments with a group of friends. I love modernity. And spacious apartments with fully equipped kitchens and huge bedrooms with a beautiful view are what I like when I need to book a place to stay. I have to agree with you Shalisha! I thinkg the Whitsunday Apartments are the way to go. I love to eat out, I’m a foodie too. But sometimes it is nice to just have a meal in. Thanks for visiting the Whitsunday Islands Australia. OMG there is literally so many different places to choose from!! This article would be perfect for someone who is planning a honeymoon or romantic getaway. So informative! lol Everywhere looks so lovely and relaxing! Yes, lots to see and do in the Whitsunday Islands! Thanks for stopping by Ash. Another incredible post. Australia–another place I have yet to visit. I almost had an opportunity to, but it fell through. Going in June and July would be perfect since their seasons are the opposite of us. Let’s go Kayaking! Yes, kayaking here is a dream Robert! Wow, well you have to get another opportunity to visit. Wonderful place. Thanks for stopping by. Wow what a paradise! You cover everything from restaurant prices to fun activities and beautiful amenity pictures! Those waters are so clear and just breathtaking! You have it easily layer out so anybody could get all the information they need to take a trip to paradise! My husband and I have been looking into vacations to take because we never got a honeymoon so this will definitely be on my list to venture! This is one of those places that is great for a honeymoon! You will have a wonderful time either just relaxing or out enjoying the area. Thanks for visiting the Whitsunday Islands Australia. What is a Whitsunday island? Are they on top of the reef or just regular islands with a funny name? Other than that, I absolutely know I will venture there at some point because the Aussies make it sound so much fun. Except for the poisonous things that dwell in that area. There are 74 islands that comprise the Whitsunday Islands, and they are just beautiful islands of the coast of Australia with the Great Barrier Reef surrounding them. Yes, fun and beautiful place! Excellent, informative article. You covered all the bases. I almost feel like I visited. I’ll be looking at your other articles as well. Thank you so much Rick for stopping by and taking the time to leave me comments. I am glad you enjoyed reading and visiting Beach Travel Destinations. What a beautiful setting as I was reading the article all I could Imagine is me out in that beautiful blue water. It almost makes you want to move there. This article leaves nothing out of the many adventures you could have. Thank you so much. Thanks David for visit Beach Travel Destinations. I am glad you enjoyed reading about the Whitsunday Islands Australia. What a great article, I love it! The Whitsunday is so beautiful that we have decided, the whole family, to charter a boat there. I was looking for information on activities do to and marinas to stay. And here I am, on your website, happy than ever because all the things I was looking for are right here:) I don’t need to search anymore, you have saved me plenty of time, and I thank you for it! Just a question if you don’t mind. It may sound stupid, but I am a kind of paranoid person when it comes to snorkeling. I always have this impression there is a shark behind me:) So I would like to know if there are sharks in the Whitsundays? That is a great question Daniella! There are several species of shark that you may encounter in the Whitsundays, most being non-agressive and great to see while snorkeling. Sharks that frequent the reefs are not a danger to divers, and are often more afraid of you than you are of them. So no worries while snorkeling in the Whitsundays! Thanks for stopping by. This is awesome! I want to hop on a plane right now and go. It reminds me so much of my home in Belize. Super Beautiful. You do live in a beautiful part of the world! How awesome to live in Belize. Thank you for stopping by and visiting Whitsunday Islands Australia. 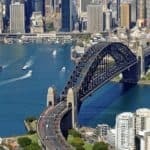 So gorgeous here – I love it and I am definitely going to travel across the ditch to visit these wonderful places. Really great review and such a beautiful part of the world to visit. I’m an Aussie so I’m probably a bit biased lol. But I really love Port Douglas, it’s on the top of my list of places to go in far North Qld. There’s some awesome cruises to that part of the world too. Thank you so much Helen. You are so lucky to live in such a beautiful part of the world! Thanks for stopping by and visiting Whitsunday Islands Australia.